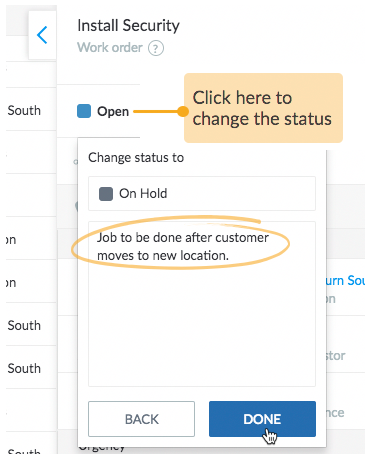 Though jobs are intuitively changed from Open to Completed as your workforce log their hours through the Loc8 mobile app in field, it is possible for you to manually update the job status alongside as well, and on doing so, you , you may specify the reason for changing the status for any future references. Change status one job at a time. 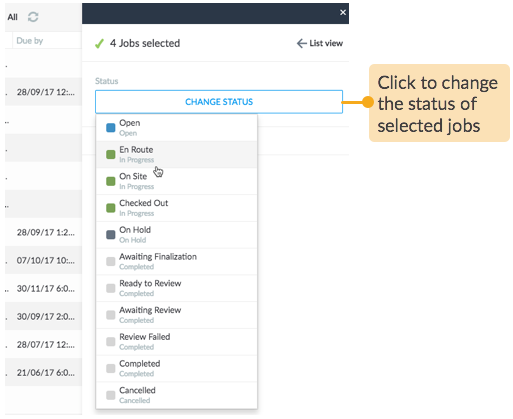 Select the job in either List view or Map view. With bulk status change, changing status for large number of jobs is as quick as it is for a single job. 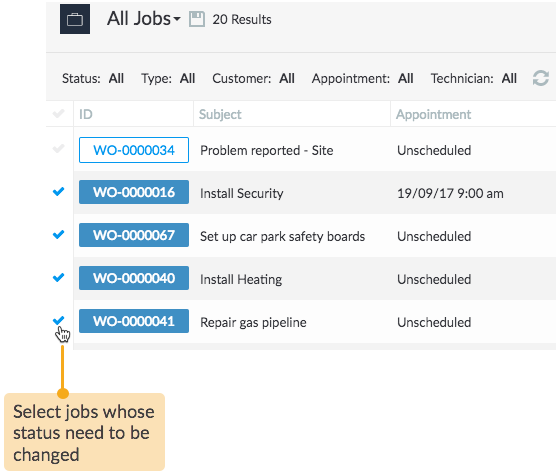 Select the required jobs and change their job status at one go. When you proceed to change status for those jobs, you will be presented with the next likely statuses that are common to all of the selected jobs. 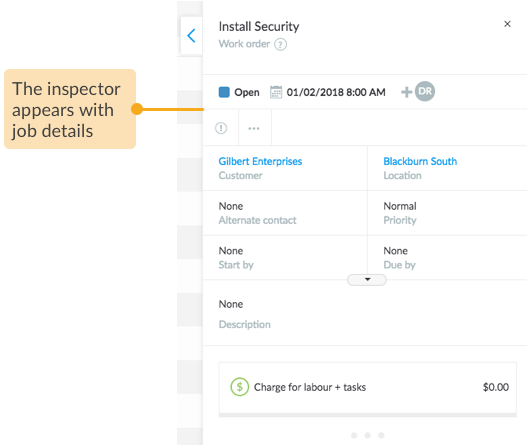 You will find all comments added against the changes made to the job under the Messages tab in the job inspector;.